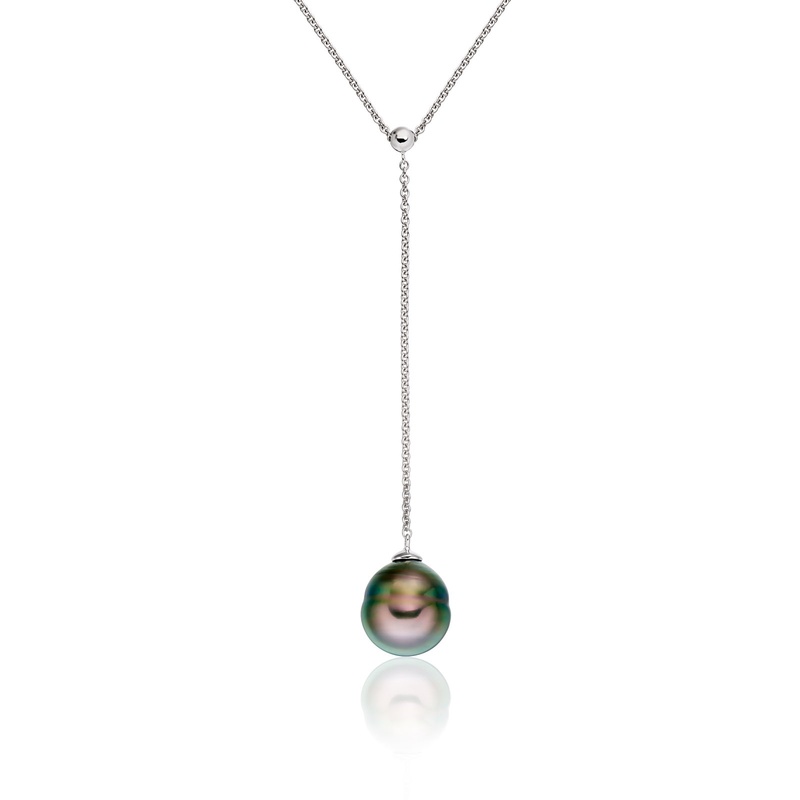 A lariat style necklace, from the Classics collection, with a beautiful 10-10.5mm diameter peacock Tahitian pearl suspended from a fine 18 carat white gold chain. 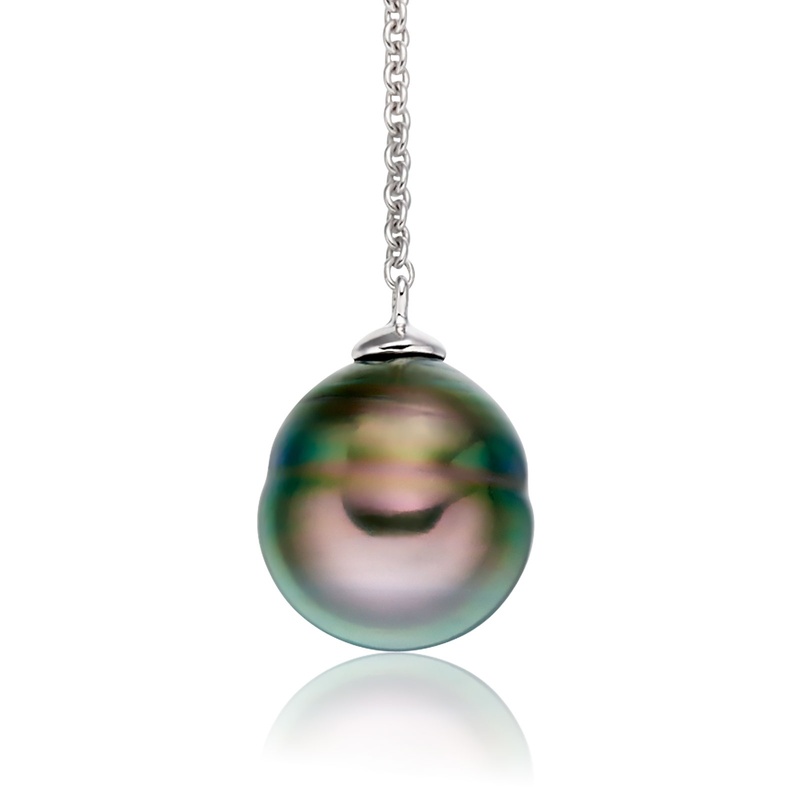 The eye-catching colour of the pearls throughout the necklace is known as peacock, having a green-grey body colour that may shimmer with overtones of pink, blue and purple. 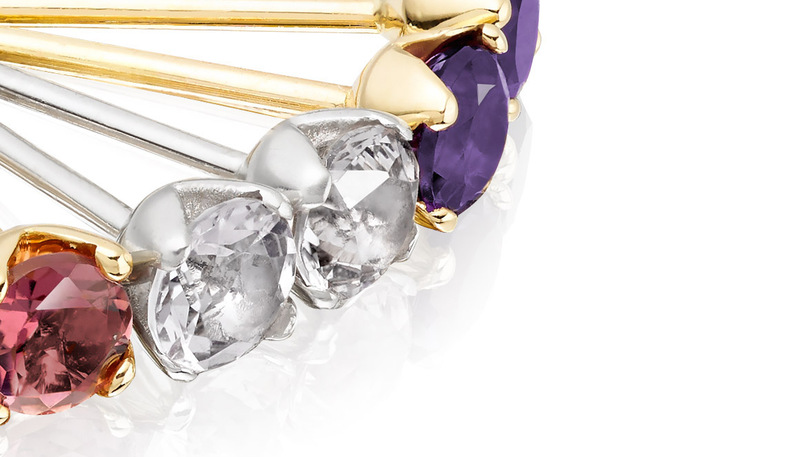 This natural colour is highly regarded for its beauty and complexity. 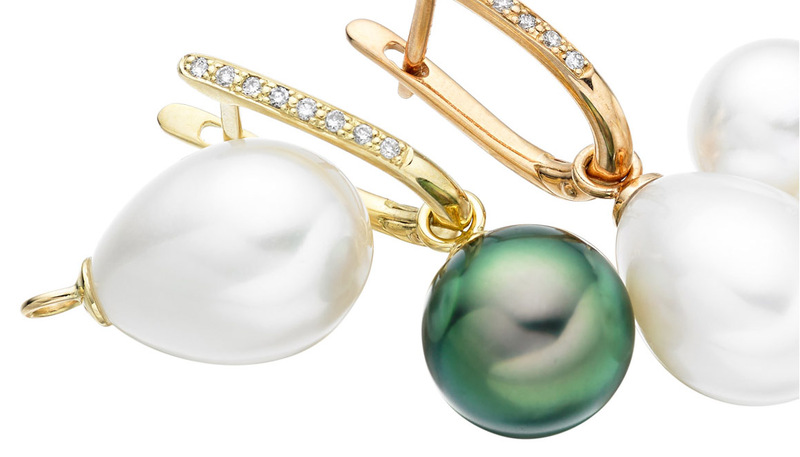 Baroque shaped pearls have a noticeably irregular appearance, which means that they may have some minor imperfections and characterful circles present on the surface of the pearl. 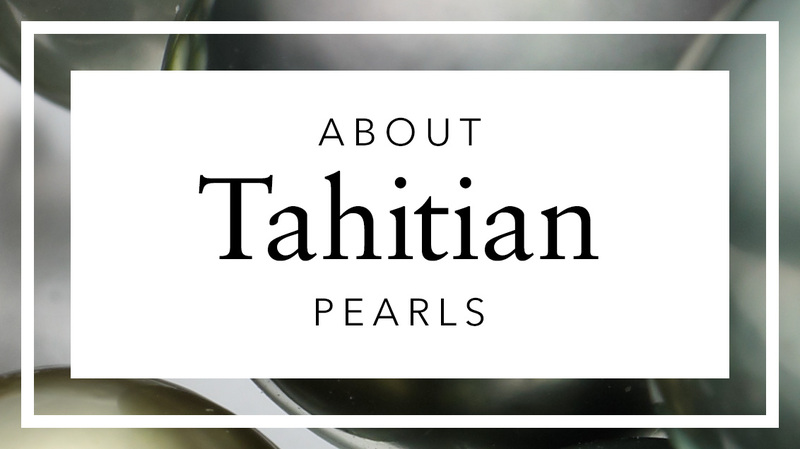 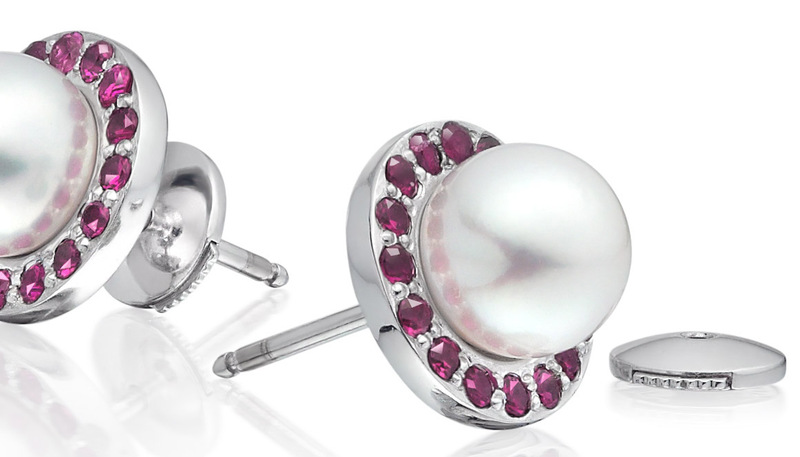 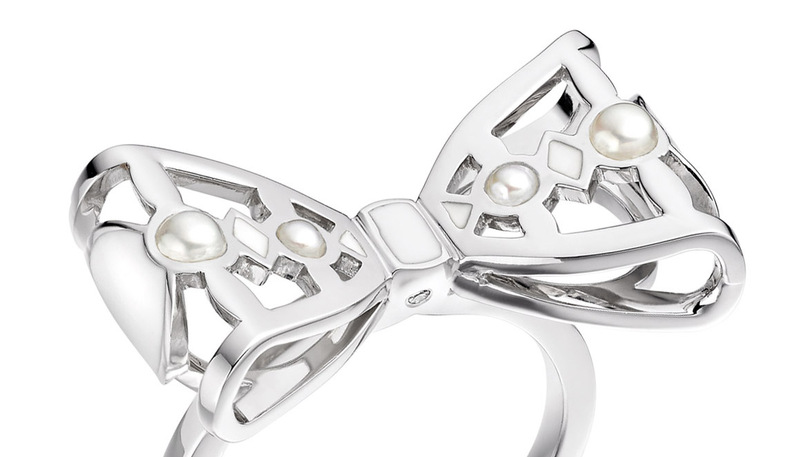 This colour and baroque shape is quite typical of Tahitian pearls and adds to their charm and individuality. 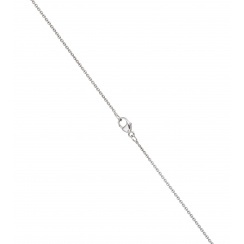 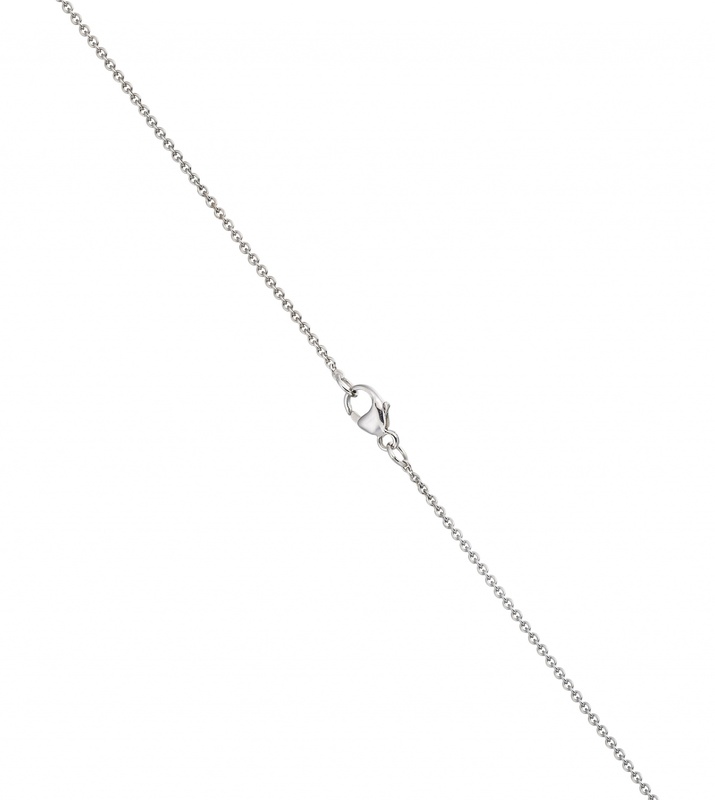 The length of the Y-shaped lariat is 45cm, with the pearl suspended on an additional 4.5cm chain below a central white gold ball.